You wouldn't believe the things that have broken in our house over the last few months. First our little car massively failed it's MOT and would have cost more to fix than it was worth, so we needed a new one. Then our washing machine broke, then the oven. Also my hairdryer, kitchen scales and the kettle, and no I'm not exaggerating. Then to top it all off, we have had problems with our electrics looking likely to cost over £400. Wow! Talk about it all coming at once. Being a stay at home mum, in a one income household where spare money is incredible limited and definitely not naturally able to cover all these things, my first reaction was one of stress. How can we afford all these things? What are we going to do? Where will this money come from? But in that instant, when I started to feel stressed I felt God remind me of something. He reminded me of the countless times over the last couple of years that we have needed provision for something, we have prayed, and a week or so later we have received unexpected provision or a cheque through the post. Over and over again we have seen God's faithfulness in this area and this is no different. So, in that moment, in that second of stress, I decided to trust. 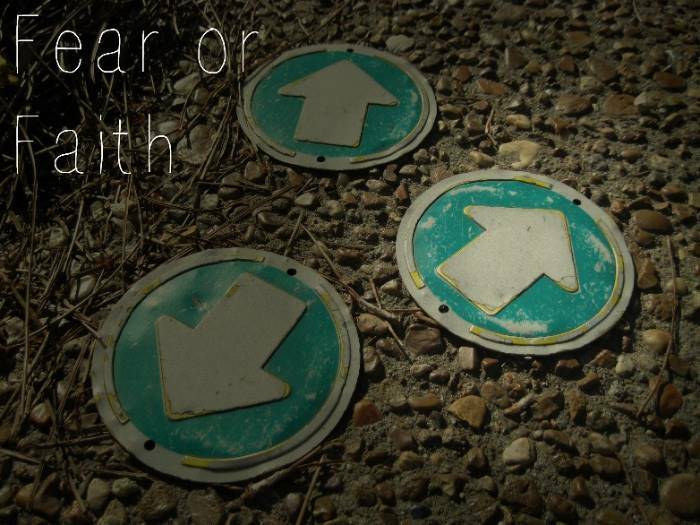 To take the choice of fear or faith, and choose faith. To decide to think on Him, and His promises over what my eyes can see; to actually set my mind on what His Word, the Bible, promises rather than my fears. Do you know that we always have that choice! It may seem like circumstances are pushing in, or pushing you down, but whatever you are experiencing, just like me, you have a choice: will you choose fear, or choose to trust. To look at the one who loves you, who promises to protect you, who hears your prayer. I don't know what you are going through today, the health concerns, the monetary issues, the worries, or fears, the potential stresses, but I do know Him. I do know that He says 'ask and you will receive, seek me and you will find me'. So ask Him, for all those things you need. Seek Him, for His peace and His wisdom. And make the choice, right now, whatever the concern, to trust Him. To choose faith over fear!